Valentino Chocolates one of Belgium's supreme makers! 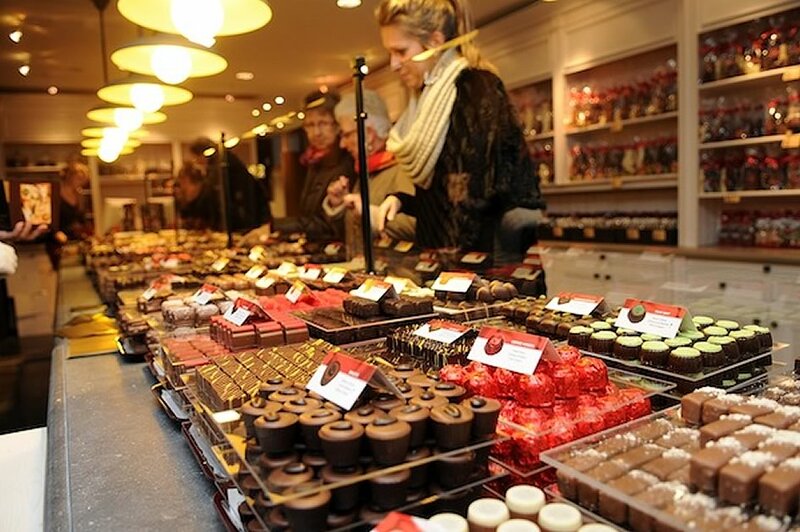 Valentino Chocolatier has been producing Belgiums finest chocolates for more than 30 years. In 1978, Helene De Leener and Willy Roelandts started a small chocolate company in Brussels and realized their chocolate dream. Today, Valentino's chocolatiers are making over 60 different chocolates, with respect for tradition and a passion for taste. In addition to the all time favourites, Valentino specializes in new creations which have been recognized and prized all over the world. Each month, Valentino is presenting a new chocolate, based on an exclusive design or an original taste, using origin couvertures from Ecuador, Togo or Sao Thom. 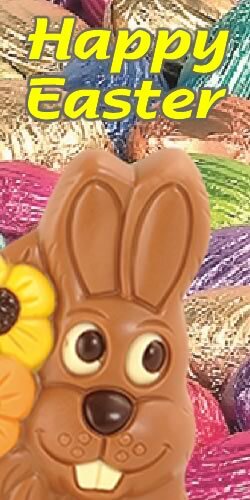 The assortment is completed by a wide variety of chocolate specialties such as mendiants, truffles, orangettes, cerisettes, chocolate bars, sugar free pralines, liqueur pralines, Easter eggs and figurines. The Valentino chocolates are sold in more than 60 exclusive chocolate shops within Belgium and are also exported to over 30 different countries throughout Europe, Asia and America. With products such as Het Lenniks Poireke and Het Schepdaals Brasserke, Valentino tries to promote local products and wants to give the people from the region something to be proud of! In 1994 Valentino moved the Chocolate Atelier from Anderlecht in the centre of Brussels to Schepdaal, 5 km outside the centre. Today, thousands of people are enjoying more than 300,000 kg of Valentino chocolates, bars and figures every year, all carefully prepared by our team of 25 people. Valentino a passion for chocolates! This is the Valentino chocolate, named after the chocolate maker, it comprises of the finest hazelnut praline and two whole hazelnuts of the most amazing size and quality. A truly magnificent creation all wrapped up in Valentino's dark couverture that has a purity of flavour that only the finest makers from Belgium can achieve. Simply stunning! This chocolate is also available in the equally exquisite milk version. We can't decide which one we like best at Sweet Moments, that's the delight of chocolate of this quality! Here is the Alegria chocolate from Valentino. Straight away you notice the decoration on the front which is the Logo of this fine chocolate maker. Bite into this one and at once you are confronted by a beautiful ganache bursting with the taste of top quality cherries and all laced with Amaretto. Again that gorgeous milk chocolate couverture brings together a wonderful marriage of perfectly balanced flavours. This chocolate is also available in dark chocolate. At Sweet moments we challenge you to decide which one you like best! Escargot by name, Escargot by shape. 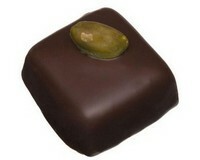 One of Valentino's classic praline filled chocolates. 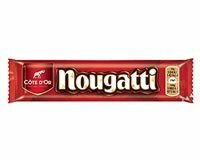 A seriously high quality hazelnut praline, all wrapped in that delicious milk chocolate couverture. At Sweet Moments, where our customers demand superior quality, this chocolate is always popular. 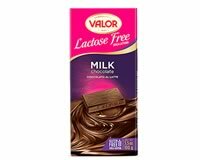 Available in dark chocolate as well as the milk version.